The Disney Parks are scattered with a wide variety of attractions ~ from “Its a Small World” to top tier attractions like “Tower of Terror”! 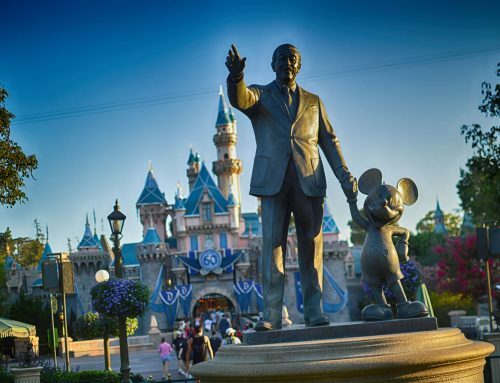 Each of them serve a very important purpose in the Disney theme parks however some are better than others… so without further ado here is my list of top attractions from the 6 United States Disney Theme Parks! The only reason that Soarin’ is not higher on the list of attractions is because it is changing its entire theme in June – instead of Soarin’ Around California it will become Soarin’ Around the World and will feature Sydney Australia, the Great Wall of China among many others! The original Soarin’ is one of the most popular and best attractions of all time and I think that Soarin’ Over the World will be no different however I am going to keep it at number 10 on my list until I get to experience it later this year! Toy Story Midway Mania is virtually the same attraction in both Disneyland and Disney World with the biggest difference being that in Disneyland it generally has a lot shorter waits than in Disney World however it just went through an upgrade and now has a third track at Hollywood Studios in Disney World so this should alleviate some of the crowd problems! Outside of its popularity Toy Story Mania is 4d shooting game that brings you into the Toy Story Universe in spectacular fashion! Like many of the other attractions on this list there are so many details and each time on this ride is a different experience! Radiator Springs Racers is one of the most expensive attractions ever built and this is for good reason as it is breathtaking and the level of detail in this attraction is top notch and Disney at its finest! From the outside of the attraction that showcases the incredible mountain range that adds to the ambiance of Cars Land to the interior Dark Ride which features some of the most advanced Audio Animatronics ever created Radiator Spring Racers is a blast and can be enjoyed by nearly everyone in the family! Like Radiator Springs Racers Everest is one of the most expensive attractions ever created! The Imagineers who created Expedition Everest visited the actual Mount Everest on many occasions to get the little details that only Disney would think of! 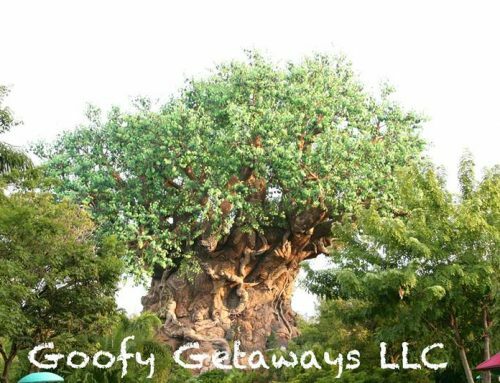 I make the argument that this addition to Animal Kingdom is the most important addition to any Disney Theme park ever. It solidified Animal Kingdom as a theme park and not a zoo! I’ve said for years that the Kilimanjaro Safaris would be Walt Disney’s favorite attraction in any Disney park ~ this ride is HUGE at over 100 acres and it is different on every ride as the free roaming animals have the ability to change the ride if they so choose! This attraction is also chaining as it will be open at night now which adds another element to this already awesome attraction! A day in the Animal Kingdom does not count as a day in the Animal Kingdom if you do not go on Kilimanjaro Safari’s! One of the most important parts of an attraction for me is the ability to ride an attraction again and again and Star Tours has this re-ridability factor! There are many different versions of this attraction and as there are new Star Wars Movies they bring elements of the movie into the attraction which is a blast! These little extra’s “force” you to ride it again and again because there are always new details that you’ve missed in the past! Star Tours also has an awesome queue with many details that make the sometimes extremely long waits not to bad! The Haunted Mansion is as classic of an attraction as you can get! It has an amazing interior and exterior queue, top notch cast members, the ever popular stretching room, a soundtrack that is known worldwide and not to mention awesome special effects like the Peppers Ghost Effect in both Disneyland and Disney World! I do prefer Disneyland’s version it has the all new special effect of the “Hat Box Ghost” which adds to a near perfect attraction! The Haunted Mansion in Disneyland also has an upscale exterior that adds to the atmosphere of New Orleans Square! Tower of Terror is the near perfect attraction it has a fantastic queue with a ton of details, an awesome ride vehicle, classic pre-show and background music as well as a thrill factor that cannot be beat! If I could only ride one Disney attraction for the rest of my life, Tower of Terror at Disney’s Hollywood Studios would be it! Thank you for reading my blog, these photos and this blog is 100% my own work and my own option and is not official information from the Walt Disney Company!